Whether you are a first-time home buyer or a season expert, purchasing a home can be a complex process. For this very reason, we are here to assist you each step of the way. Throughout each important stage your Partners Real Estate Agent will help you navigate the ever-changing housing market and help guide you to your dream home. Not sure what you’re looking for? Partners detailed understanding of market trends, local neighborhoods, and financial options allows us to give sound proven advice to march you with your ideal house. Below, we have included a general step-by-step list to help explain the home buying process. Some of these stages may seem confusing, but remember, we are here to answer any questions you may have. Before the search begins, it’s a good idea to define what type of house, neighborhood, and location best suits your needs and lifestyle. Have fun with this! Have you always wanted a wood fireplace? Is a large yard important to you? We recommend imagining your dream home, while also taking into account your financial considerations. Once you share these details with your Partners Real Estate Agent, they can offer feedback and advice to help develop a plan and goal moving forward. You may want to prioritize what specifications you are looking for in a new home to offer some flexibility when scouting for houses. First, meet with a loan officer. We can provide you with recommendations of outstanding qualified local lenders. Sharing income and financial information will give you a price range for which you are qualified. With your specifications in mind, your Partners Real Estate Agent will use their resources to scout the marketplace on your behalf. When your Agent finds houses that meet your criteria, together you can review them and schedule a tour at your convenience. 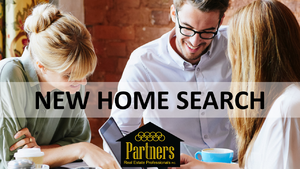 Once we have found the home of your dreams, your Partners Real Estate Agent will help you determine an appropriate offer price by reviewing market trends and similar home sales. With your input, your Agent will draft a written offer that outlines the price as well as the responsibilities of both parties in preparation for the transaction. 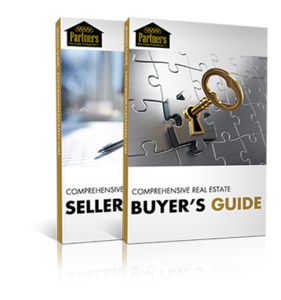 If the seller accepts the offer, it becomes a binding contract. It is imperative that you carefully review the contract and clarify any aspects that are not clear to you prior to offering. • All documents will be sent to the title company where a file will be opened, and title commitment and property tax information ordered. To ensure your safety and the value of your investment, it is important to have the proper personnel thoroughly inspect the house after the offer and loan terms have been finalized. Depending on the type of loan you are securing, an inspection may be mandatory. • Depending on the property and location, your Partners Real Estate Agent can also provide information about other environmental assessments. • Buyer will make arrangements for homeowner’s (hazard) insurance, and arrange for the insurance agent to talk with the closing officer at the title company if necessary. Your Partners Real Estate Agent will prepare the necessary documents required for closing such as title examination, payoff statements and deed. On the closing day you will sign all documents. The seller will be paid and you will receive the keys. Drop your Partners in Real Estate a note.